Award-winning Waterfront & Luxury Homes Sales Specialist, Sarah Welch, is devoted to serving the needs of real estate sellers and buyers throughout the Rochester area including Canandaigua, Keuka & Seneca lakes. Award-winning Waterfront & Luxury Homes Sales Specialist, Sarah Welch, is devoted to serving the needs of real estate sellers and buyers throughout the Rochester area including Canandaigua, Keuka & Seneca lakes. Sarah relocated to the greater Rochester area in 2016 from Los Angeles, where she successfully sold residential real estate valued up to $23.5 million dollars. Sarah’s expertise in marketing luxury properties gives her a unique edge to achieve the highest sales price for her clients. She attributes her success to her creativity, dedication and her developed lasting relationships. Sarah Welch works collaboratively with various industry specialists including development, asset management, sales, marketing, and private equity lenders to achieve her high performance benchmarks implementing a tailored, full-service marketing strategy for each new listing. She will maximize both traditional and new media outlets leveraging the most effective technologies and social media strategies possible to ensure maximum exposure for every property she represents ensuring her clients have the competitive edge in the ever evolving market place. Sarah Welch has closed $45+ million dollars in residential real estate since 2013. Sarah started her real estate sales career in 2011 on the Top Producing Sales Team at Rodeo Realty in Beverly Hills, CA where she worked as Client Relations Specialist alongside the “Billion Dollar Producer”, Joe Babajian. In 2015 Sarah was recruited by Coldwell Banker’s International Luxury Sales Division, at the Beverly Hills North Office, the #1 grossing real estate sales office in the United States every year since 1987. 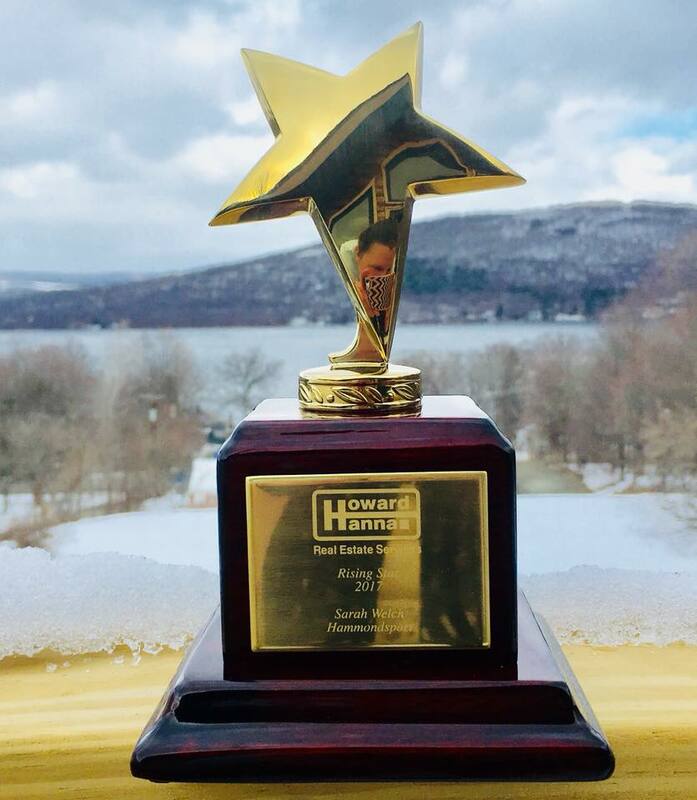 Based on her sales achievements in her 1st year selling real estate in New York State, Sarah Welch was honored the “Rising Star 2017” award by Howard Hanna Real Estate Services in the Greater Rochester Area of Realtors. Sarah Welch continues to successfully represent some of the highest priced residences in the Greater Rochester Area including Keuka and Canandaigua lakes. Sarah remains closely allied with a powerful network of top real estate professionals who are likely to be working with buyers who are in the market for a property like yours.